You get going with what you can afford and, unless you’re a startup with angel investors, you make do until there’s some money actually coming in. Once business starts rolling along, it’s easy to forget about the website that got you launched. 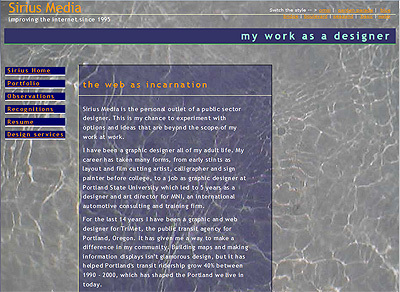 Often, your first website is pretty basic. Maybe there wasn’t a budget to put it together, or a design student did it for peanuts, or a free website builder was used. Your site works, and may even look okay, but traffic has stalled. It’s time for a change. It’s been more than 3 years since you redesigned. Your website uses Flash animations. Adobe’s animation darling is quickly becoming a faded flower. The site is difficult to maintain, which results in outdated, missing, or incorrect content. Out of date content detracts from your search ranking. It’s not friendly to mobile devices such as tablets or smart phones. Your site doesn’t have an SSL certificate. This is a feature modern browsers require and it’s a help with search optimization, too. Website doesn’t match current marketing campaigns. Branding consistency is so important. If your site doesn’t showcase your new logo, use your colors or displays an old tagline, then it’s working against you, 24/7. You’re not collecting new email contacts for marketing. Take advantage of email marketing by growing your email list. Feeling insecure? Hacking and malware attacks are omnipresent. If your site is running the latest security package, it’s vulnerable to the bad guys. Social share buttons are missing, or connections to your social media pages are absent. Your content is out of date. Google looks for content that has been updated or is new. Adding video, slideshows or podcasts are great ways to increase online engagement and dynamically tell your business’s story. Business contact info, hours or location is hard to find, or the contact page is missing. Hidden contact information is lost business. Make sure your phone, email, office location and business hours are clear and easy to find. Site traffic is not being measured with Google Analytics. It’s free, easy to install and a must for monitoring any website health. 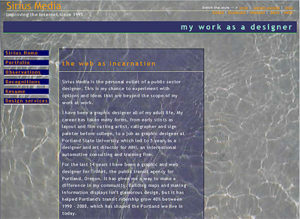 Recently, the venerable community blog Metafilter redesigned after getting feedback from Google that their decade old site design made the content look out of date and unreliable. Website design can affect not just your branding, but also the perception of reliability, and search engine visibility. Even Google likes to see something new now and then. If your website meets 3 or more of the above criteria, it’s time to consider an upgrade. 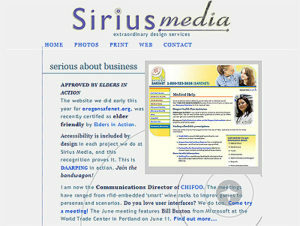 Sirius Media is an expert in guiding clients through the upgrade process. We know what is working for businesses like yours, can recommend restyles that work on all devices, provide graphic design services, advise on SEO decisions, and install the analytics tools to monitor your site and measure success. With a fresh new website built on the popular and robust WordPress platform, you’ll be able to easily take over site updates while being ready to do site improvements and upgrades in the future. Take your business website to the next level. Get Sirius today!